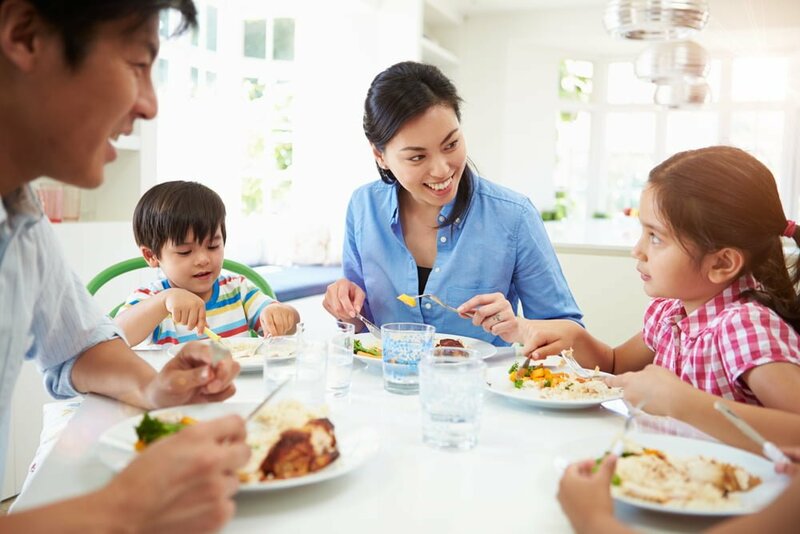 With everyone’s work and after-school commitments, it can be hard to squeeze in a family dinner – the sort that happens at a table, with family members actually talking to each other. But we certainly have fond memories of the family dinners of our childhoods, with conversations that connected us and taught us about each other and the world. (Even if some of them were arguments). Anne Fishel, author and Associate Clinical Professor of Psychology at Harvard Medical School and co-founder of The Family Dinner Project, argues that having dinner together can boost kids’ reading skills. Ask a lot of open-ended questions, including plenty of ‘how’ and ‘why’ questions, rather than questions with yes-or-no answers. Encourage longer stories by repeating what your child says or by elaborating on their story.